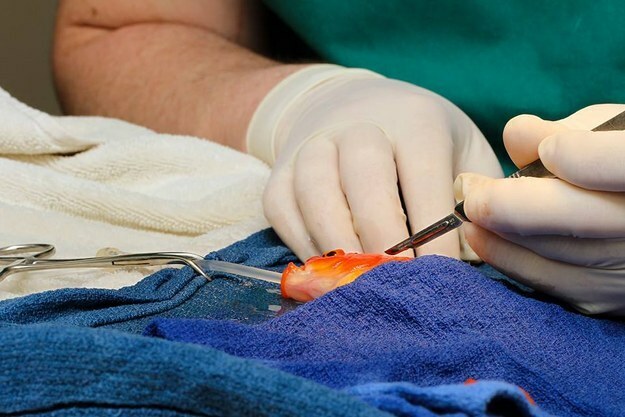 George, a 10-year-old goldfish, underwent a 45-minute operation to remove a life-threatening tumor at Lort Smith Animal Hospital in Melbourne, Australia, last week. 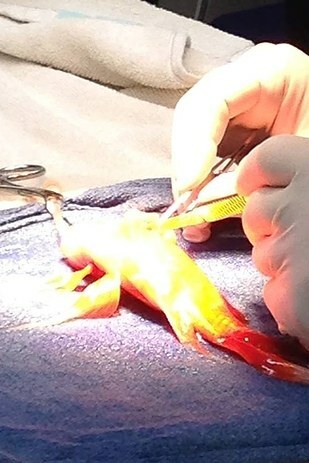 George's owners were reportedly very attached to their finned friend, and upon discovering the tumor, they opted not to euthanize the fish, but to have him operated on. 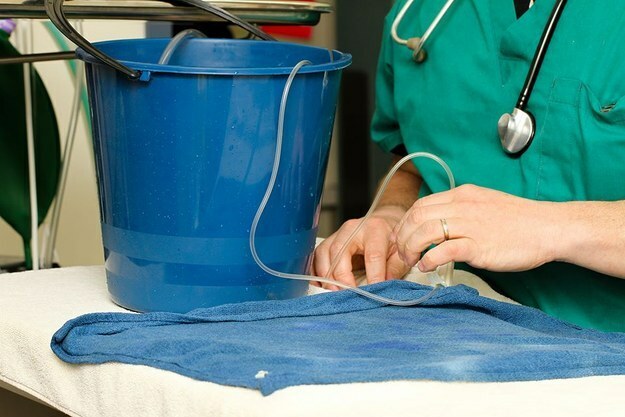 In order to prep George for surgery, operating veterinarian Dr. Tristan Rich had George swim in a bucket laced with anesthetic, most likely a small amount of clove oil. 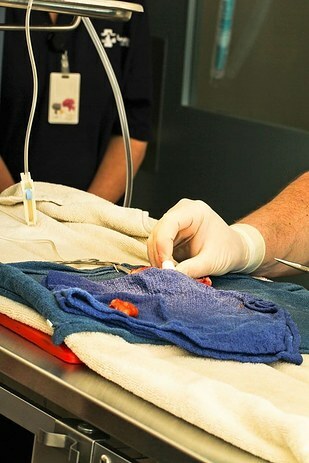 Once the operation was done, Rich placed George in a bucket of normal water. 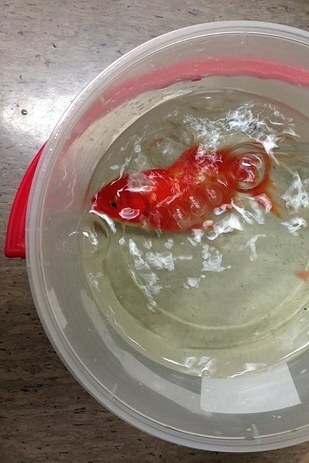 He was given painkillers and antibiotics, and after a few minutes he started swimming around, good as new. 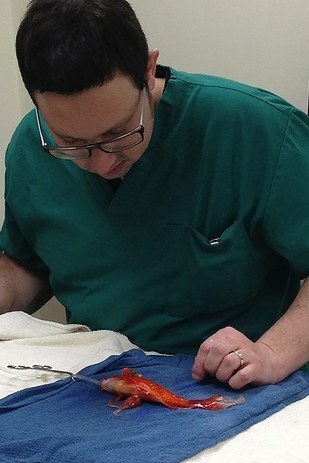 According to the hospital’s Facebook page, the surgery went “swimmingly” and George has returned home, and as long as he stays in good health, George is expected to live another 20 years. 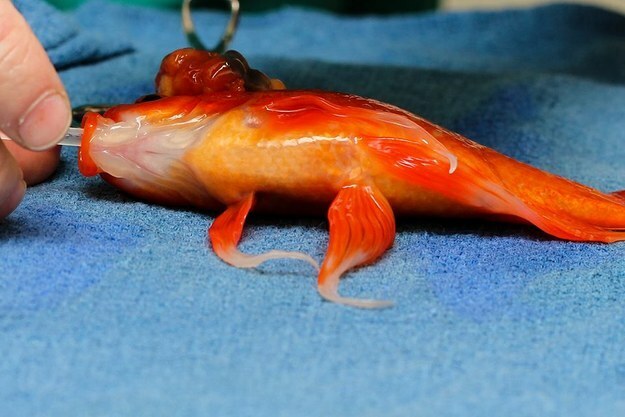 Are Fish Vomiting Blue Lava-Like Nuclear Waste?